Home » grand ballroom intercon hotel , Harmony of colours , novuhair , philippine international cosmetologist association , PICA » NOVUHAIR on PICA's "Harmony of Colours Series 2"
NOVUHAIR on PICA's "Harmony of Colours Series 2"
Phippine International Cosmetologist Association or PICA is an association founded 2008 committed to the success of the members through innovative education, legislative advocacy, networking, and building relationships to shape the destiny of cosmetology industry. Recently they conducted a 1-day seminar titled "Harmony of Colours Series 2" at the Grand Ballroom, Intercon Hotel. A 6 hour event that enhance and provide continuous education for exclusive members and to maintain the broad spectrum of empowered members of PICA. 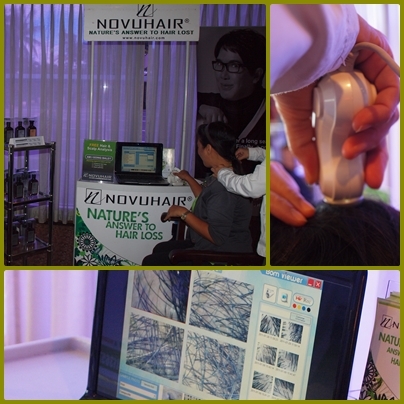 Hair product experts are proud to be part of it including the NOVUHAIR:Nature's Answer To Loss Hair. 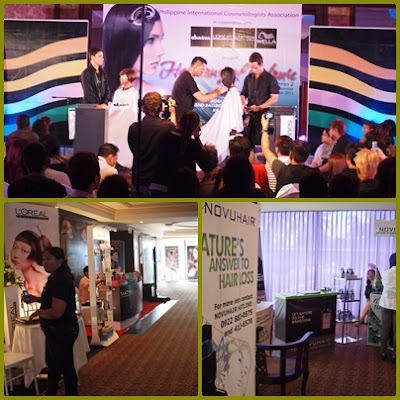 As one of the participants Novuhair Booth gave free hair and scalp analysis for the members and visitors of the said event. The result is successful, PICA members was given a chance to know more about the status of their hair growth, nutrition and have it checked before its too late. Hair and scalp analysis gives you the knowledge of knowing your hair and scalp status and the necessary treatments designed for you. Its important for an individual to have an insights about their hair for them to make essential treatments before its too late especially when baldness or hair loss runs in the family. Novuhair will help you more about that problem because it all-natural product that offerss remedy to excessive hair fall and dandruff, likewise it stimulate hair growth, cleansing and detoxification. You can READ MORE about Novuhair on my previous blog post.LET THE NATURE DO THE MAKEOVER. For more information you can contact Novuhair Hotline 0922-8830575 and 4136570.